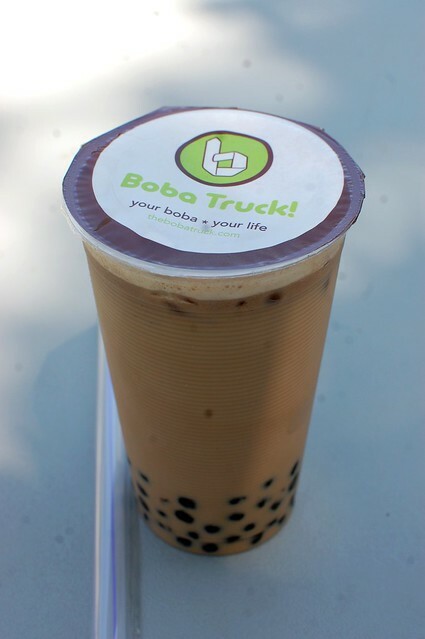 The Boba Truck has quite the extensive tea, boba, and jelly selection on wheels. I was impressed, considering I thought it'd just be regular boba milk tea! Regular teas and milk teas cost $3.50 and $3.75, respectively. Premium teas and premium milk teas cost $3.75 and $4.00, respectively. Prices include your choice of boba, mini boba, lychee jelly, mango jelly, or aloe bits. Upgrade to a large for $0.50! 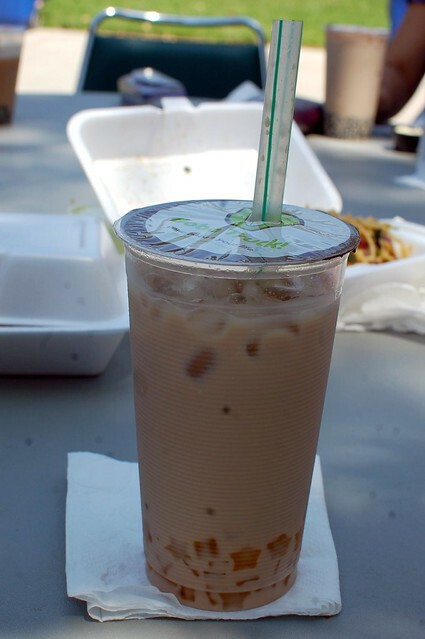 My large mocha milk tea with boba cost $4.50. The mocha milk tea was nice and strong and creamy. The boba were perfectly chewy and just sweet enough. Izzo got a large almond milk tea with mango jelly for $4.25. She let me have a sip. Quite nice. 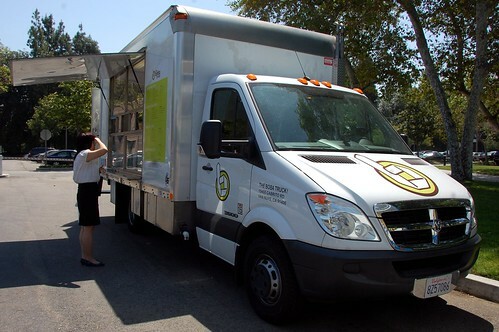 The Boba Truck may not be as good as Tea Station or Half & Half Tea House, but it was mobile and came right to our office! So jealous of your awesome town with its awesome boba truck. I need mobile boba! i love these guys because they'll adjust the sweetness for you as many times as it takes for you to be satisfied. i likes mines SWEET.